I have been on a DIY beauty bender. Not sure if it's the season change or what, but I have had a handful of recipes that have been waiting on me to get my act together to try. I guess I finally ran out of excuses and gave a few of them a try. Some were better then others, but these two below were my favorites. I am a big fan of trying a beauty recipe exactly as written the first time I make and then seeing what I want to tweak for next time. Both of the recipes below were tweaked to be more how I like them; The mask a little more creamy and I just love my sugar scrub cubes. Give them a try and letting me know if you have any tweaks you suggest! This is now my go to mask after a long flight or a change in weather (that can really drive my skin crazy). 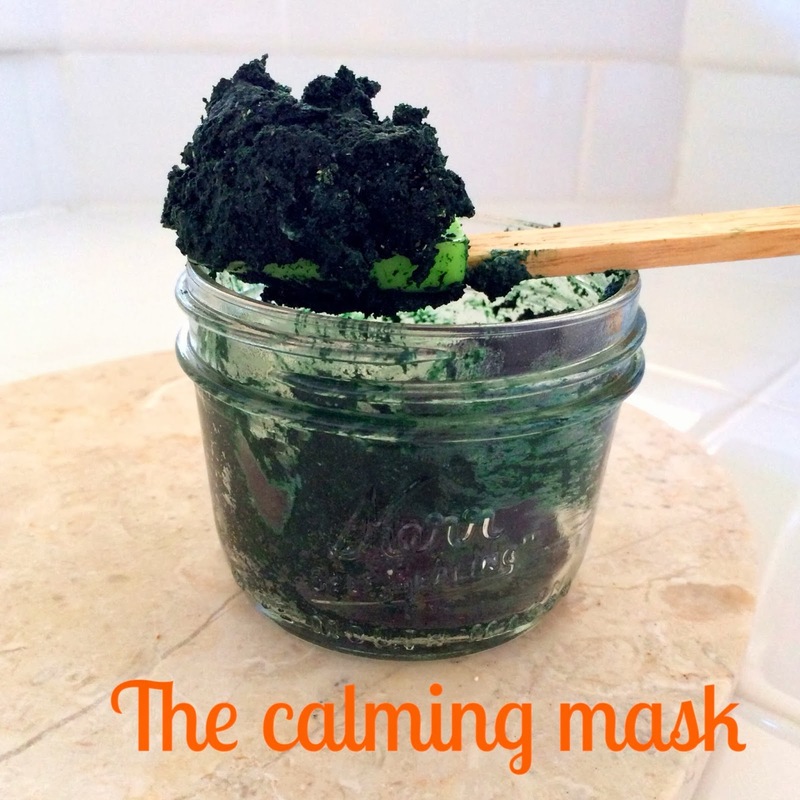 It will calm, soothe and leave your skin feeling hydrated and lovely. This quantity will yield three masks treatments, give or take how much you apply. Let’s discuss the ingredients super quick in case you feel they are too hard to get. They aren’t, I promise. The dried kale is just that so I used my dehydrator and fresh kale, but you could essentially do this in the oven as well and just grind it up in your processor, spice grinder or ninja. The spirulina I picked up in bulk on Amazon (because it is good for a million different things), but you can get this at Trader Joes in a smaller amount. The colloidal oatmeal is seriously just oatmeal that is ground to be super fine. Head to the grocery store and pick some up (just make sure it’s not the instant) and blend, process or ninja your way to a super fine powder. Make sure you have a jar to keep the mask in and a spatula to mix it all together. 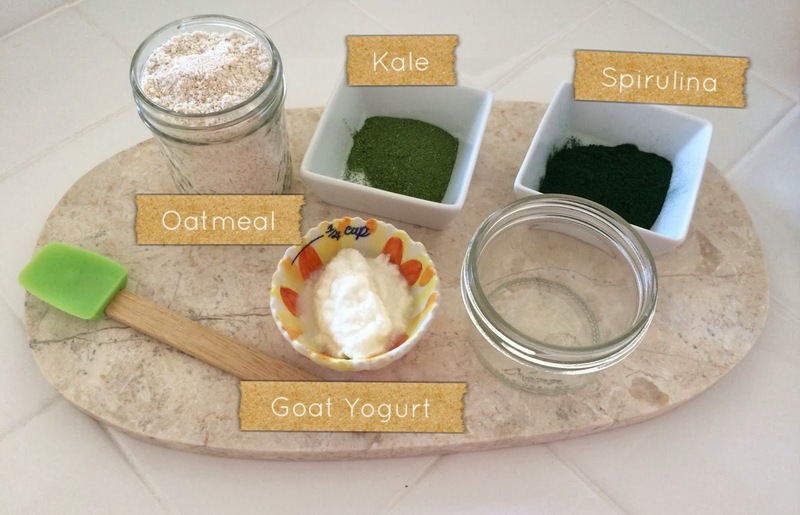 Mix kale, spirulina and colloidal oatmeal together. Add in goat milk yogurt and combine all ingredients until well mixed. Ready to use. Apply to face and throat for 10-15 minutes. This mask is good to keep in the refrigerator for 3-7 days depending on your yogurt expire by date. After that is may get a little funky smelling! 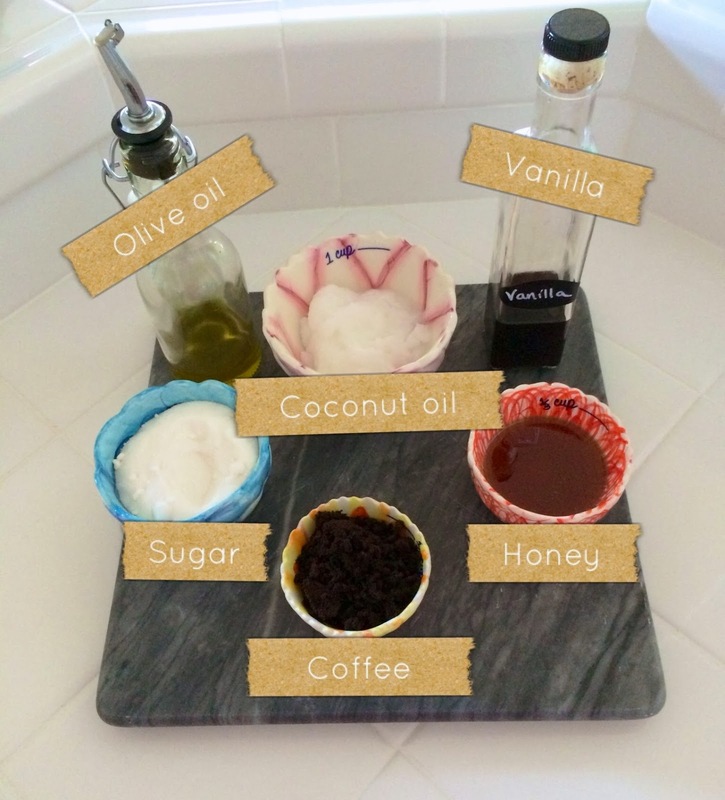 I love a good exfoliating scrub, but finding the right balance of oil, sugar and scents is not an easy task. I think I have a pretty good mix though with this one. You can do this scrub two ways, just like the instructions (mix and go) or you can make scrub cubes! I got the idea from a small soap shop in Newberg, OR and thought it was a great idea. The only problem were the ones in the shop were too hard, more soap like, and not enough scrub. Tweaking the recipe below just a bit, as soon as the cube gets warmed by your hands it instantly gets soft and scrub like, which is way more my preference. The ingredients are essentially the same as the below except you eliminate the olive oil and honey and use a super fine sugar instead of a coarse type. Once mixed together place the mixture in a small rectangular pan with wax paper and chill either in the fridge or the counter top, depending on your hurry. 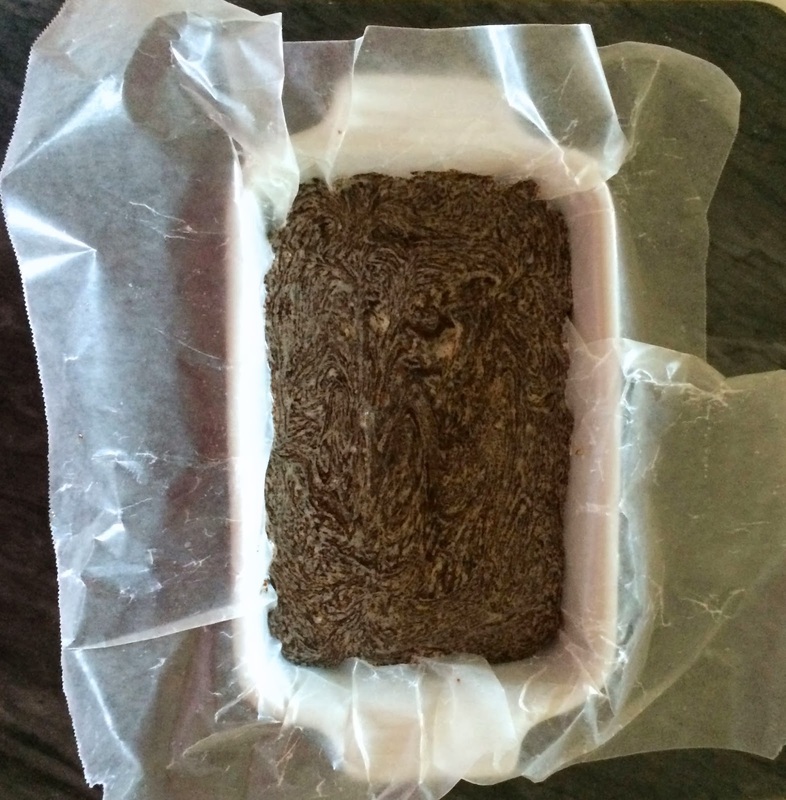 Once the mixture is set, cut into cubes with a knife and place in the shower. These are a great for travel and gifts. I love them! Mix the oils together first and then add the remaining ingredients. You are now ready to get in the shower! *The key to using coconut oil for scrubs is to add a little olive oil in as well to make sure your mixture doesn't turn solid. It doesn't hurt the product if it does go solid, but it does make for a difficult time getting out of the jar. Original recipes from Refinery 29, but tweaked in my kitchen to be more to my liking. I may not have been posting, but I have been here and doing things and generally surviving. I have missed doing posts, but I let the blog become a chore and not something I looked forward to doing. I still would often think about posting whenever I come across something cool or a new recipe, but haven't put anything actually together. After some encouraging from friends and coach I decided it's time to give it another shot, without all the expectations I put on myself. Plus I really wanted to put my newest recipe down on the web somewhere so I could find it easily. Yup. It's all about organization on the web! So let's get right to it. I have been trying this new diet/way of eating over the last 4 weeks and I love it. Like, big time OMG love it. It all started when I was discussing my unhappiness of my recent weight gain over the holidays (who am I kidding, the last two years) with my business coach and she suggested I read 4 Hour Body by Tim Ferris. I figured what the hell, might as well check it out, because obviously nothing else has stuck. I started reading the book and it just made sense to me in a way no other diet or regime had ever clicked with me before. I also saw another huge benefit in the way I can easily fit this in with cooking dinner for my husband and myself. This portion of any diet can easily throw me completely off any diet within days. Who wants to prepare multiple meals for dinner, certainly not me. The other major, and I do mean MAJOR, perk is there is a cheat day built in. A free for all if you will. You can read up on all sorts of opinions on it, but it comes down to eat whatever you want for one day a week. After a few cheat days, you learn to pull back and not go whole hog all at once, but it sure is fun trying. Oh and did I forget to add that you can have two glasses of red wine PER DAY on this? Well, yes you can and yes I have. Perhaps not everyday, but on days when I really want something not on the protein, vegetable & legume regime this is a very nice substitute. While I haven't lost a crazy amount of weight that Tim advertises on this, I have found it to be so easy to keep up, losing inches and at least 2 pounds per week and definitely have lots of energy. So I will keep up with it until it doesn't work. One thing that is hard on me is breakfast within 30-60 minutes of waking up. I don't mind the eating as much as the preparation (remember it's a protein, veggie and legume every meal) first thing in the morning. When I was going through some of my old recipes, trying to find ways to turn them in to a Slow Carb (4 Hour Body) meal, I came across brunch egg cups. Light bulb went off. Instead of making eggs, spinach and beans every morning for breakfast, I can turn this into an egg cup that can be pre-made and last for up to a week in the fridge. YES! I then looked around and tried to find if anyone else did a slow carb version and I came across a few, but they just weren't right for me, so I took them all and made my own. If you aren't a slow carb eater, add some cheese and milk instead of water and these are perfect for a quick and easy breakfast during the week. 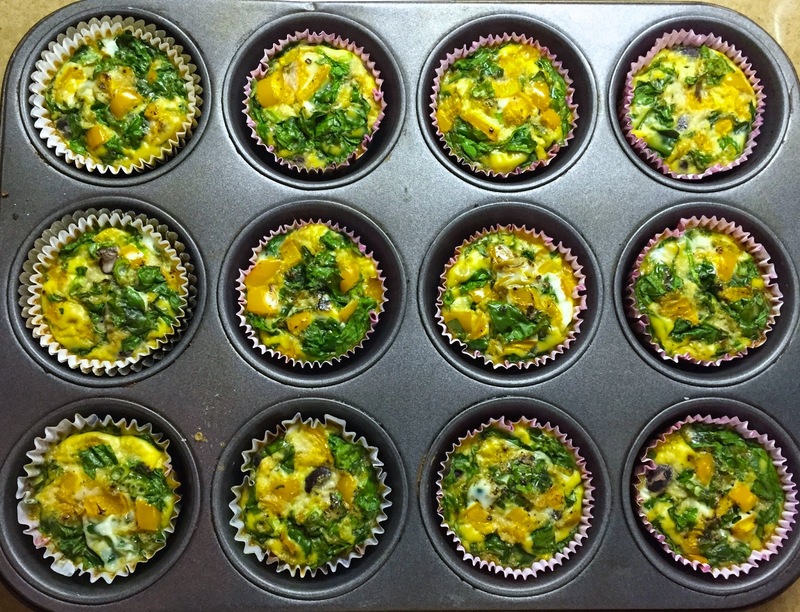 Place muffin liners in muffin pan and evenly divide beans, onions, pepper, spinach and sausage among the 12 tins. Mix eggs, egg whites, water and salt & pepper in bowl. Pour egg mixture into each tin until just covering the ingredients. Bake for 25 minutes. Let sit for 30 minutes to cool completely before placing in fridge. Heat in the microwave for 30-45 seconds before topping with salsa and devouring.